We haven't seen too many BlackBerry-style Android phones hit the shelves, so every new model with a portrait QWERTY keyboard gets examined with interest. 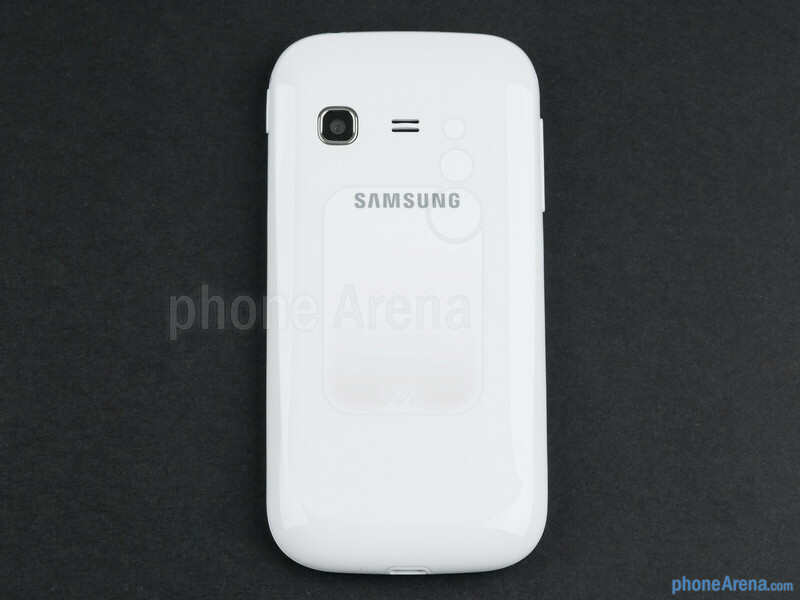 One new handset of this form-factor is scheduled to come out pretty soon – the Samsung Galaxy Chat. This is not the first Samsung handset with the “Chat” monicker. However, the first Ch@ts were simple feature phones that were mainly targeted towards teens who text a lot. Now, with the new Galaxy Chat, Samsung is bringing the Chat family to the world of smartphones, where it might become appealing to a significantly larger group of users. Let's see if the cramped front-facing QWERTY keyboard still has a place in this modern landscape! 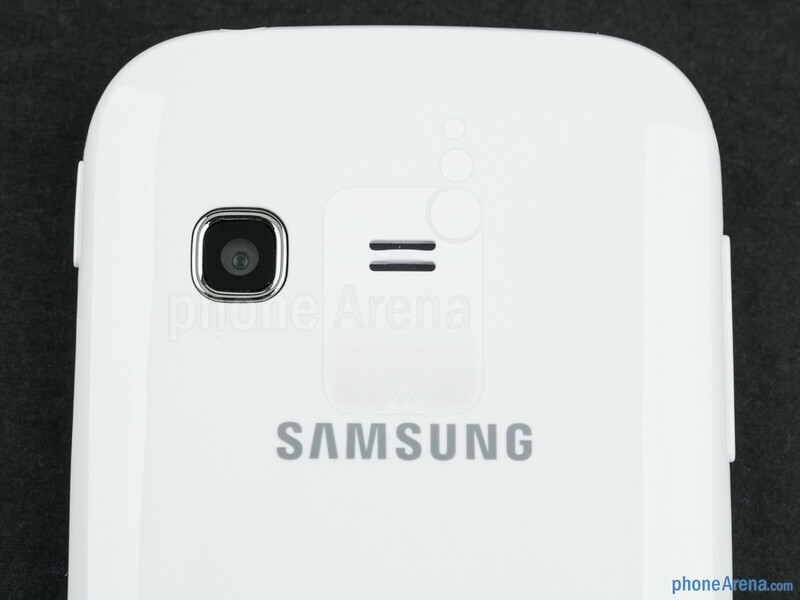 With the Galaxy Chat, Samsung proves that it too can make good-looking phones. 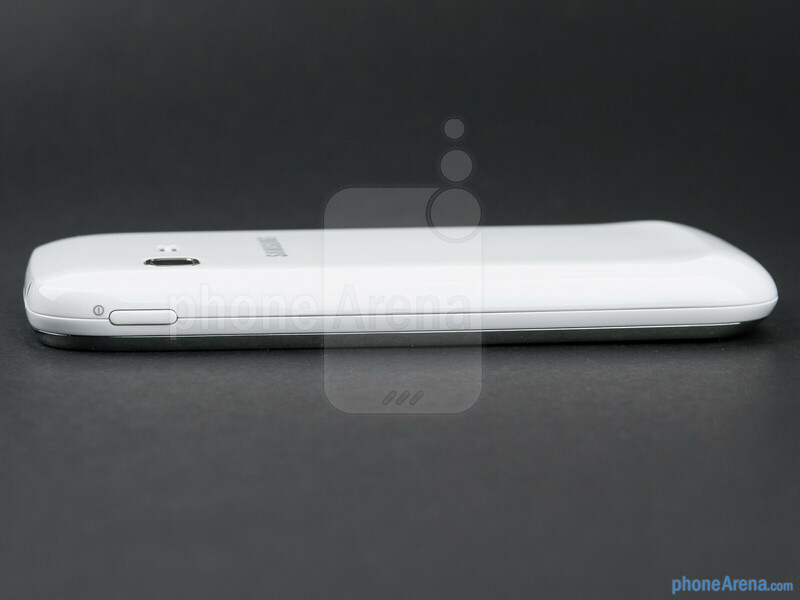 We were nicely surprised by the device's stylish looks, as well as solid feel. Of course, it's all plastic, but this phone somehow manages to feel more reliable than something supposedly more premium like the Galaxy S III, for example. You can compare the Samsung Galaxy Chat with many other phones using our Size Visualization Tool. 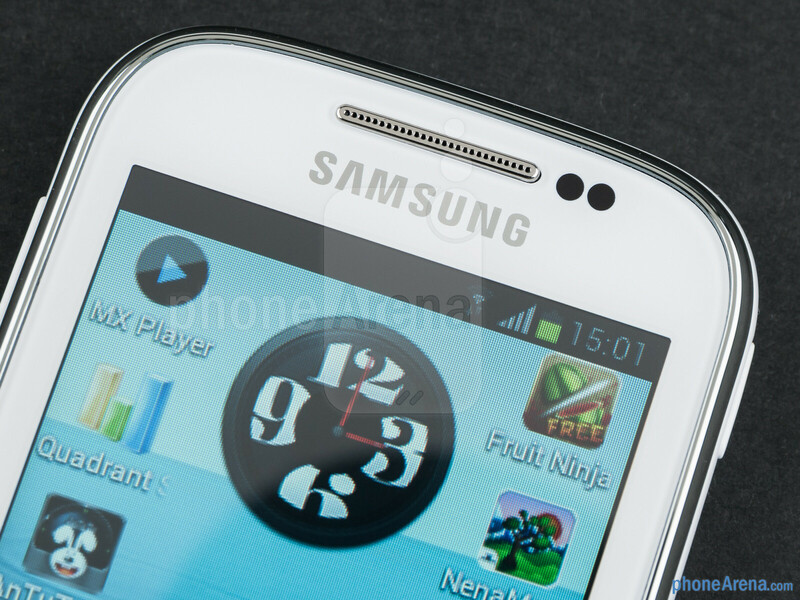 The screen is one of the weakest aspects of the Samsung Galaxy Chat, not because of its relatively small size, but because of its low resolution. 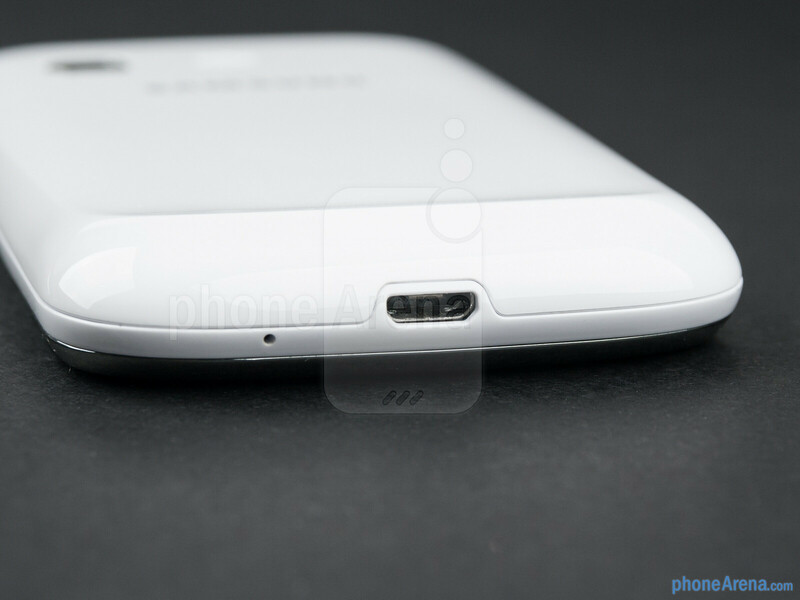 The panel measures 3 inches, but its resolution is only 240x320 pixels, resulting in a pixel density of 133 ppi. Needless to say, this display doesn't look very good, and reading is quite difficult with it. Viewing angles are also poor, and so is outdoor visibility. But after all, it's an entry-level model, which has to be easy on the budget, and such compromises are unavoidable if the manufacturer wants to hit a very low price-point. That's why, we forgive you, Samsung! The small QWERTY keyboard below the screen is awesome. Naturally, the keys are so tiny that you have to press them with your nails, but they make the perfect clicking sound and give wonderful feedback. 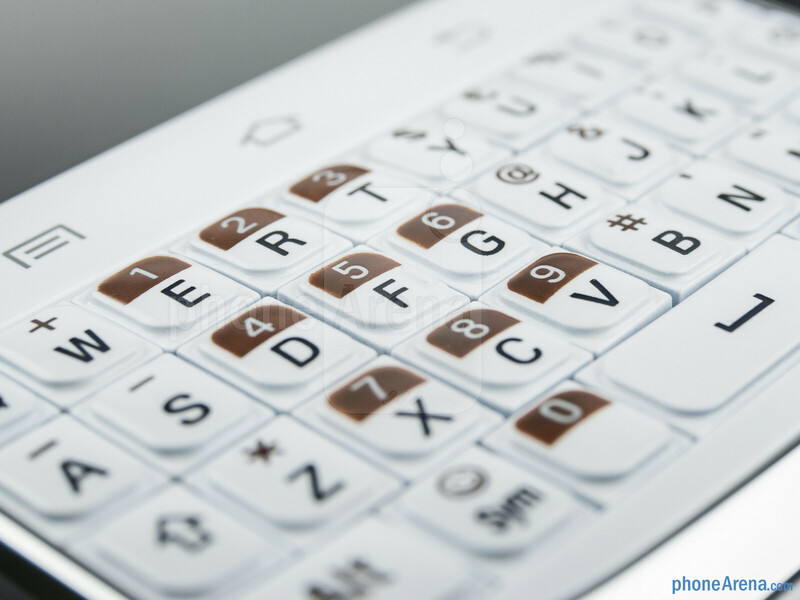 You won't be a speed-demon with this QWERTY, but pressing the wrong key seems to be a bit more difficult with it, than it is with an on-screen one, thus saving you some frustrating moments. The volume rocker and power/lock buttons are also very well made and will not cause you any trouble. 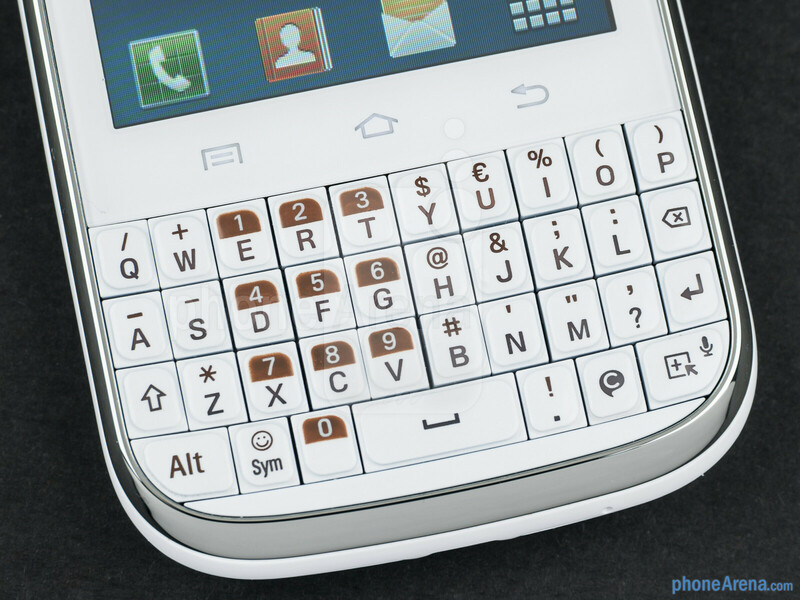 we seriously need more portrait qwerty android phones - i find this very pretty to look at. i wish BB goes android. 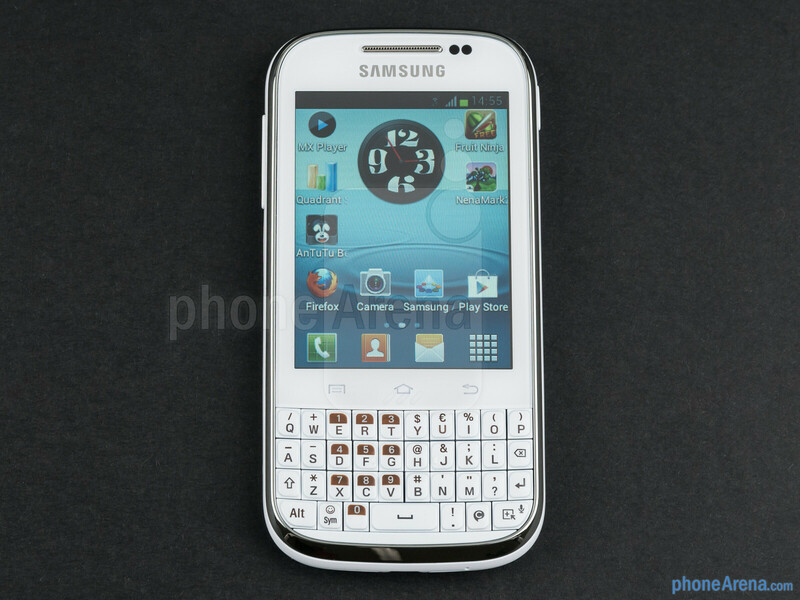 Hell, we need more QWERTY Android phones in general, high end especially.! QWERTY phones are now being reduced to low-mid range devices. 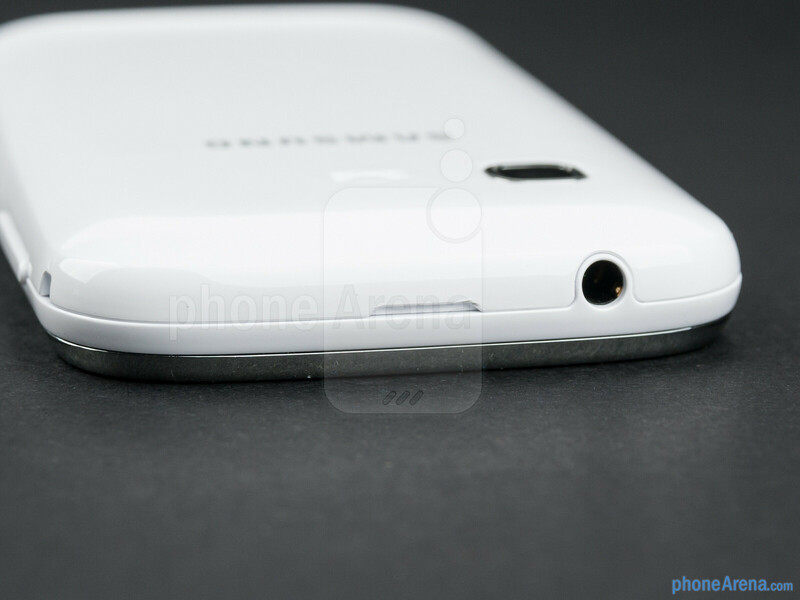 RIM BB may go for Windows phone 8.
looks like samsung and bb had an unwanted child LOL!!! If they made a high end version of this, blackberry will cry. can this run games like ninjump or temple run? well, this one is good considering entry level, low-priced but comes with ICS and touch screen too! what more can we ask for? I'll get it in a heartbeat for an alternative phone in the future. 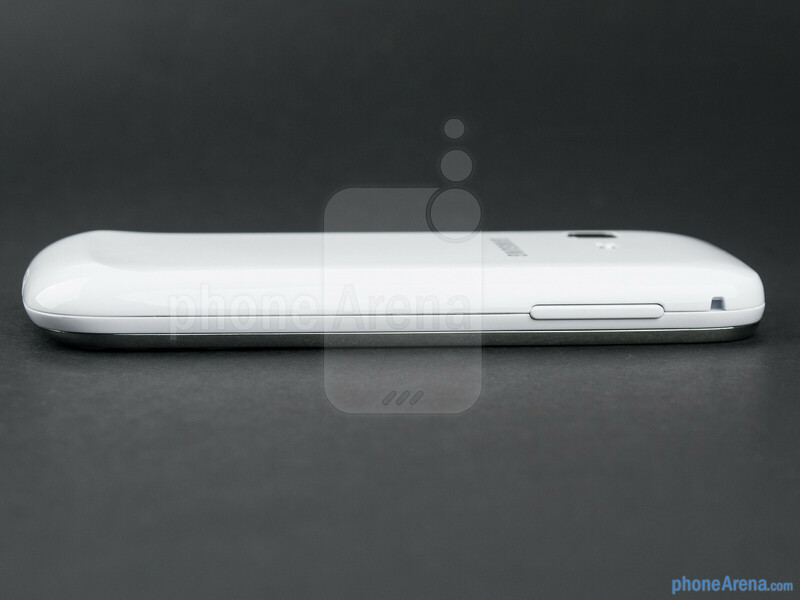 Very nice phone. 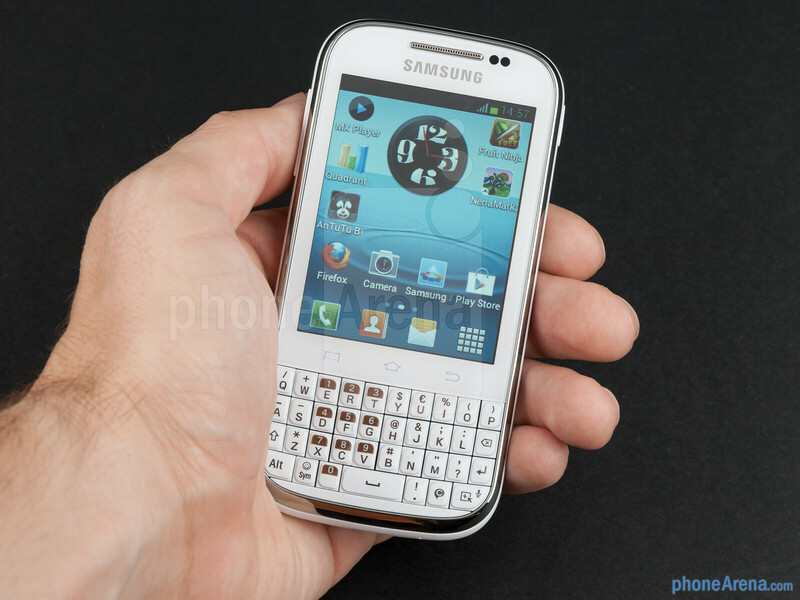 Always wanted to see a good Android phone with a QWERTY keyboard. Samsung has a tendency of lauching new category phones with low feature and low specs 1st, later once they gauge customer feedback then they come with a bang with inproved version, this has always worked for Samsung, look at earlier touch screen phones by samsung and then they came with full force with Galaxy series. Im sure they will come and surprise us with next gen chat series from this category soon. u have to install android booster from play store.noo complaint at alll iwas using this phone still one month.its nice cute phone. someone know how to take a screenshoot with this smartphone? Can the Camera of this Phone click text documents? In way are they Legible while Zooming. Also, Is the Network connectivity of this phone Good? Lastly, Does WhatsApp Work well?